Indianapolis is full of creatures and wild animals and even though we all try to coexist there are times when they become a nuisance and can cause a lot of damage to a property. If you have problem on, in, or around your property then we are the company that can help. 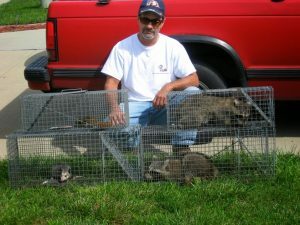 The owner of Affordable Wildlife Removal, Jeffrey Alstott, originally worked for another wildlife removal company. He found that he really liked trapping wild animals and solving customers wildlife problems. With a background in business management and training in wildlife removal, it soon became a natural decision for Jeffrey to open Affordable Wildlife Removal with a strong commitment to provide exceptional customer service and fair prices. Raccoons, opossums, squirrels, chipmunks, skunks, groundhogs, muskrats, birds, rabbits, foxes, rats, mice and more.